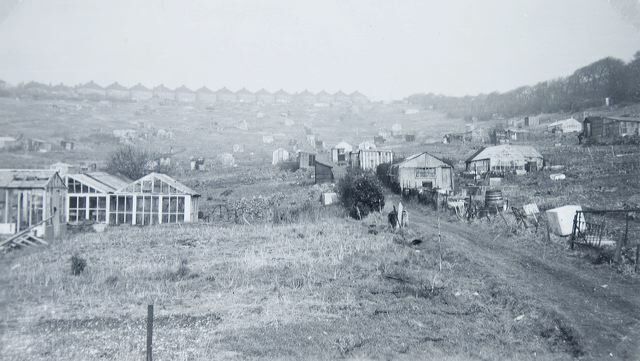 The area known as Craven Vale, at the end of Sutherland Road, had been used for allotments for nearly sixty years when acquired by Brighton Corporation for houses. Possession of the land was obtained in September 1952, and the construction of roads was completed in 1953. These two photographs look north-west towards Freshfield Road, when the land was still occupied as allotments. Photographed on 25 February 1952.